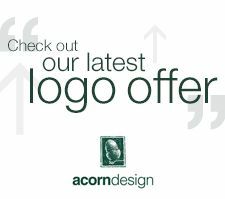 Acorn Design is an innovative graphic design agency offering a full range of design, advertising and promotional services. 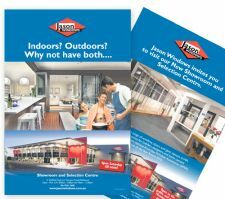 Acorn Design has a simple philosophy that graphic design and advertising must get results, it must be cost-effective and contribute to the client’s overall performance. A close client/agency relationship is central to achieving these goals for our clients. We work as an extension of each client’s organisation, preferring to be looked upon as an integral part of the in-house team, rather than an outside agency. At Acorn we take a creative approach to solving our clients' design problems, large or small. Whatever the creative or production challenge, we’d like to hear your ideas and work with you to find the most effective solution. Our experience and our creativity span all aspects of creative design from brand development and management, marketing and print communications, advertising campaigns, unique packaging solutions, web strategies, exhibition displays through to architectural and environmental graphics. Everything we do is tuned to your company’s objectives and designed to help you achieve long term value and success. Quite clearly, no two advertising agencies or marketing consultancies are exactly the same. One will be a better business partner for you. At Acorn Design we have eliminated the middle echelon – the account executive who separates agency management from its clients. You will always be assisted by the principal of the company – Steve Pearn who will be totally involved in the day-to-day operation of your account – readily accessible and totally accountable. You can expect maximum commitment from our team at all times, to ensure that your company gains maximum benefit from every dollar spent in the marketplace.